Like an hourglass, the NOVA+ from Botta-Design presents the passing of a defined period of time – in this case one hour – rather than the many small intervals that happen in the meantime. A clear explanation of the one-hand principle can be found here. 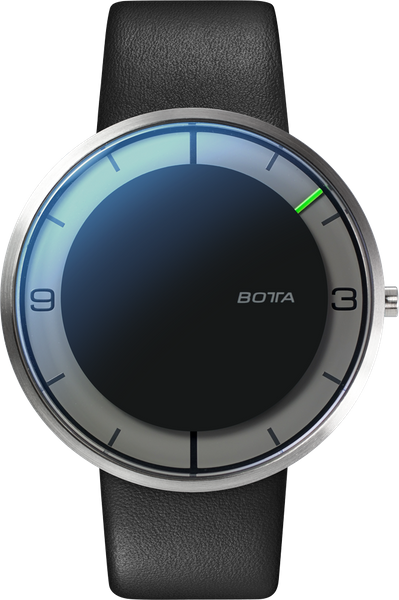 Only the essential outer area of the dial and the striking green hand are visible. 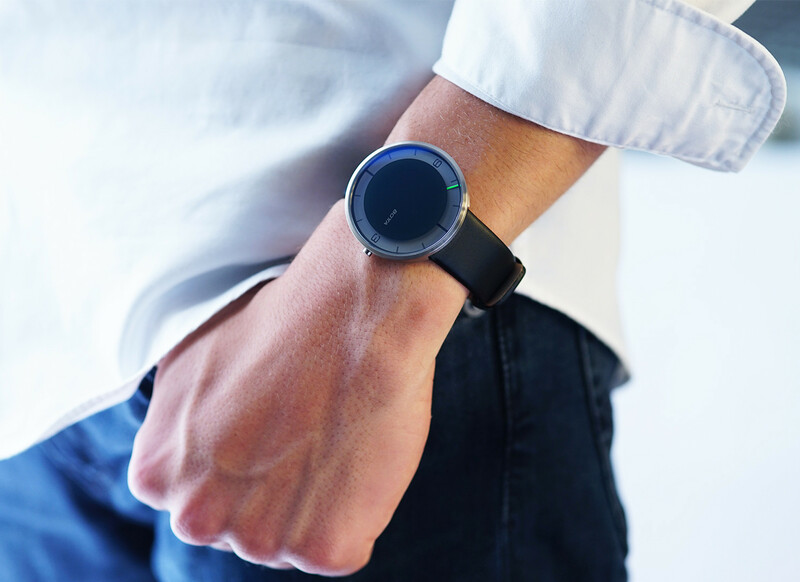 The centre of the dial and of the hand – which is not needed to display the time – is covered by a circular disc that lends the watch a futuristic and floating appearance. With its diameter of 44 mm, the very flat case is the larger of the two NOVA models from Botta-Design featuring a Swiss-made quartz movement. 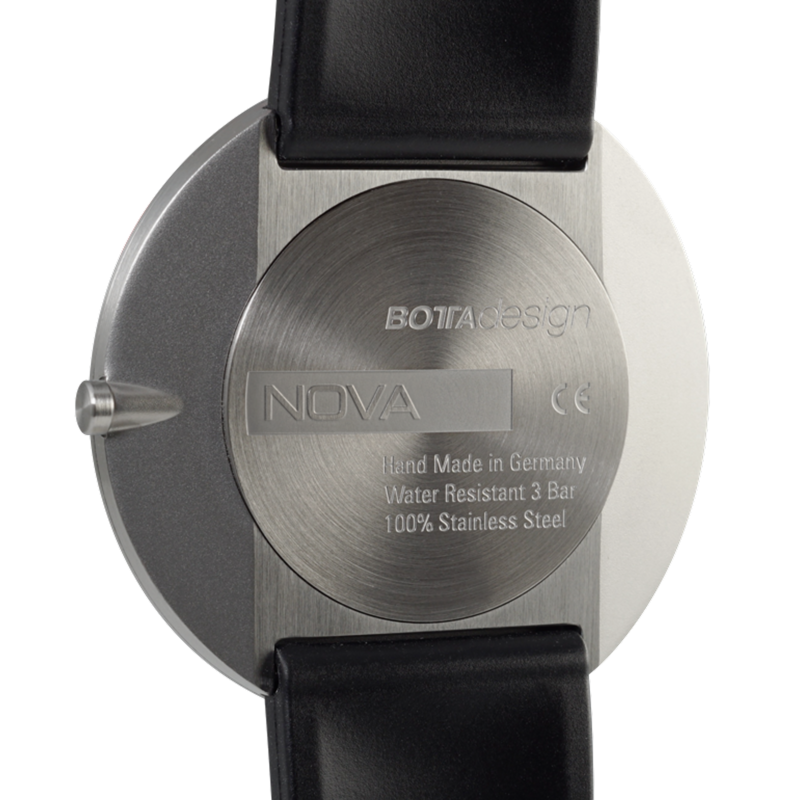 At 44 mm, the NOVA+ is the larger and somewhat heavier stainless steel version of the NOVA models featuring a quartz movement. 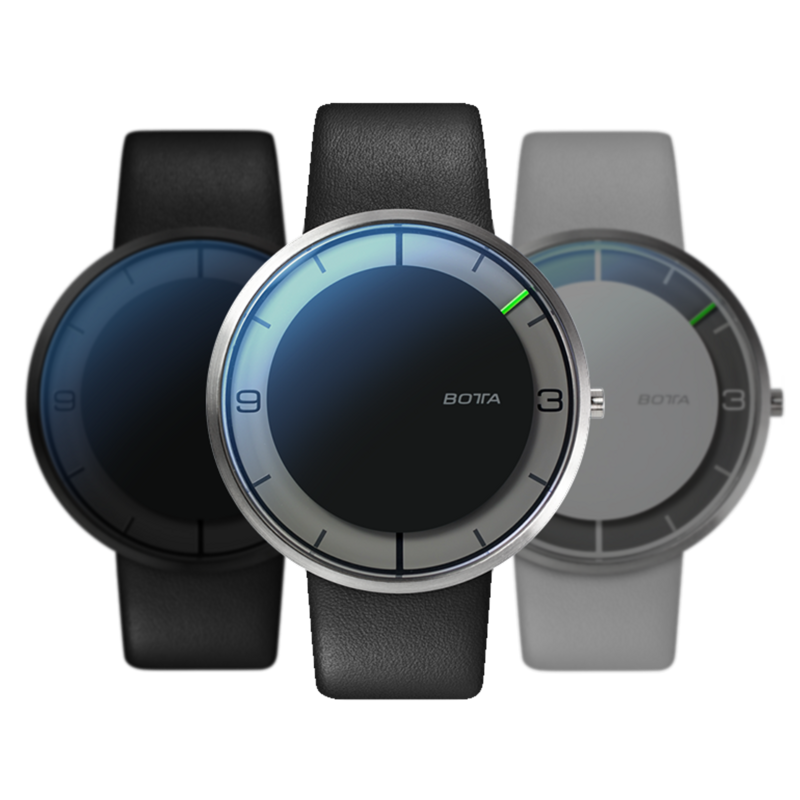 The NOVA PLUS Black Quartz will be shipped 0. Until then, the model can be pre-ordered at a discount of € -348. Shipment will be on a first come, first served basis.